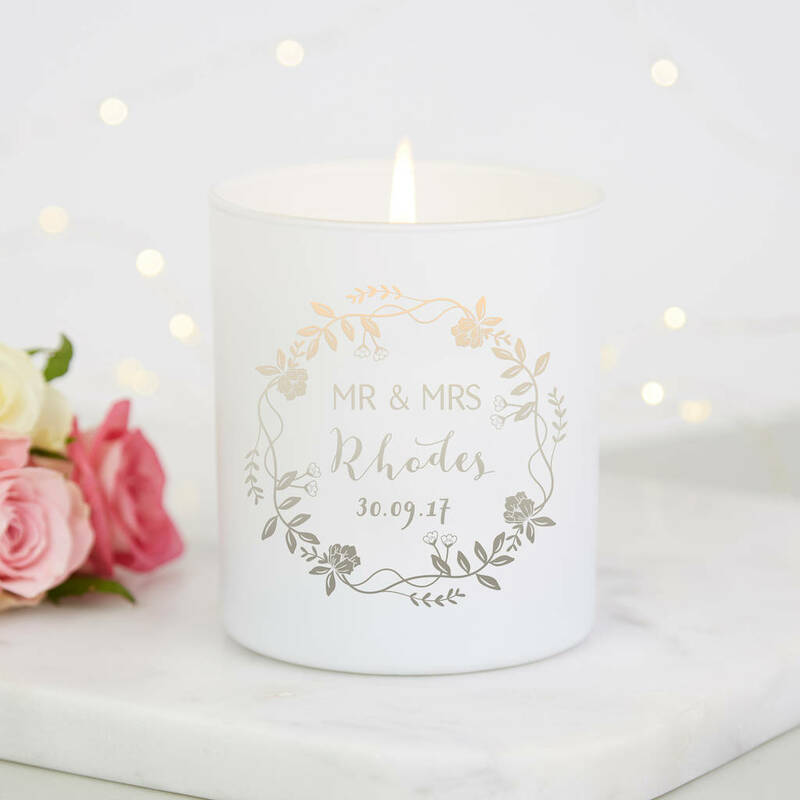 A beautifully scent floral candle with personalisation. An intricately illustrated wreath wraps around your name and wedding date to make a wonderful wedding or wedding anniversary gift. 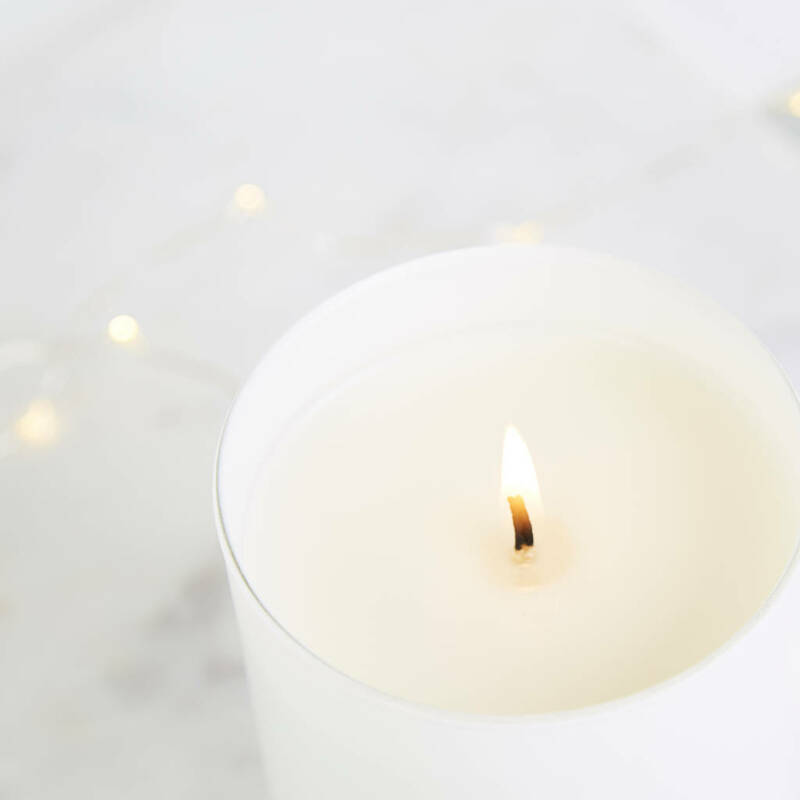 This scent is a festive treat that delicately fills the home with a balance of orange with cinnamon. A decadent scent with exotic floral notes. 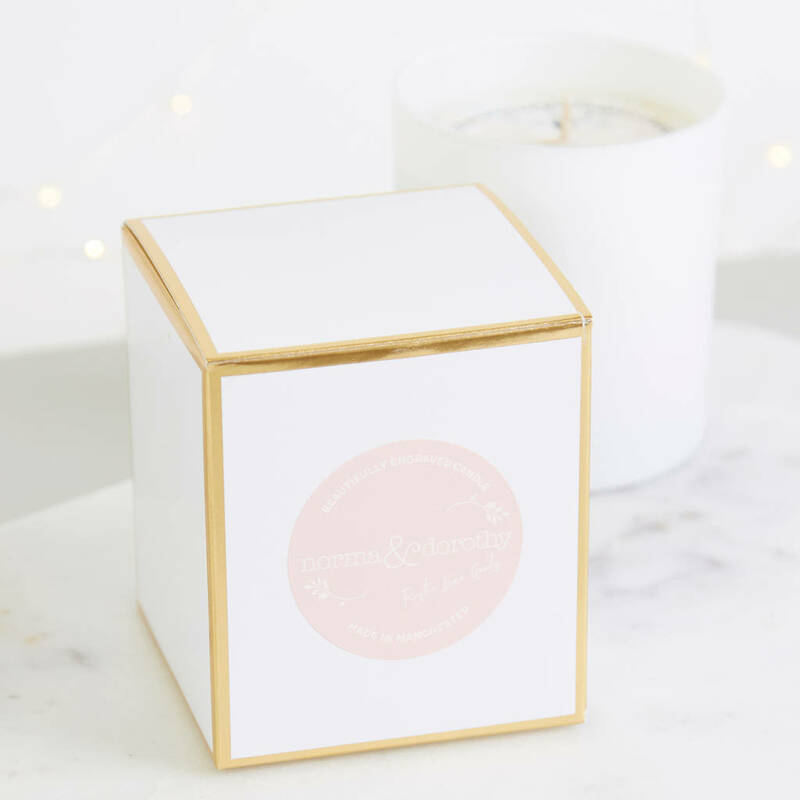 The perfect indulgent treat for your home! A rich, warming scent with masculine tones of sandlewood delicately infused with earthy sweet notes of amber. A sweet, soft fragrance with fresh undertones of berries. 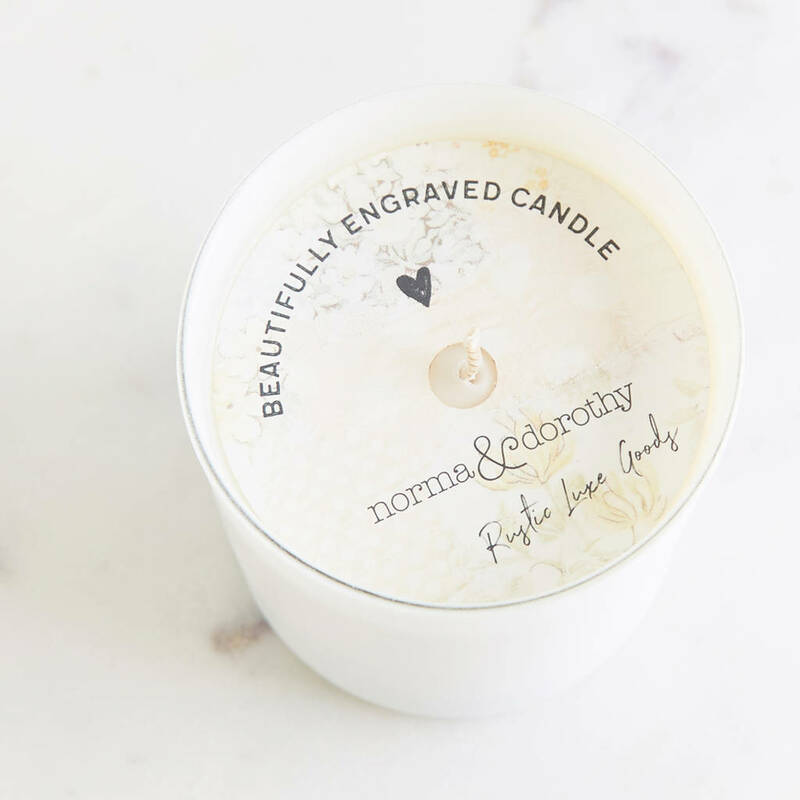 A comforting scent reminiscent of home in the Spring time. 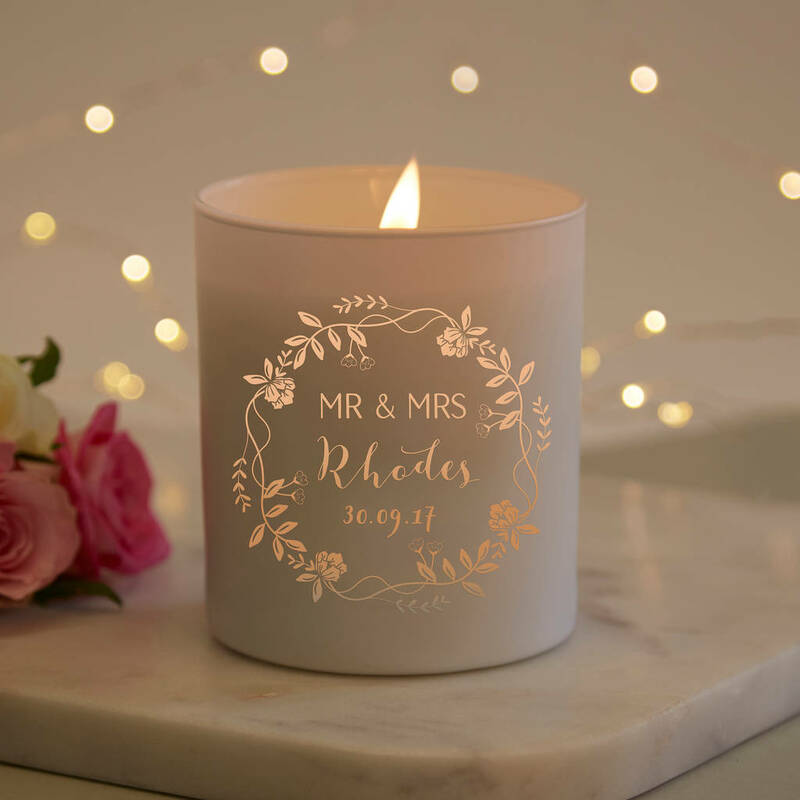 This personalised anniverary gift is made from a natural wax with glass container. 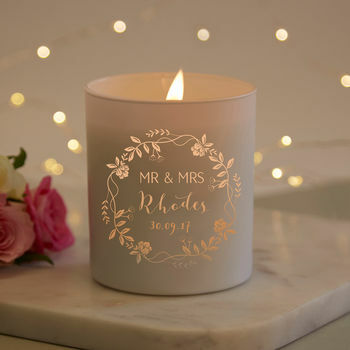 Each anniversary gift candle measures 7.7cm wide by 9cm tall.